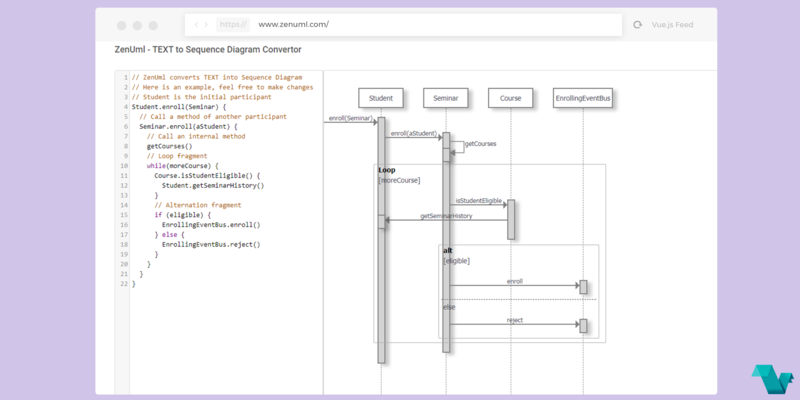 ZenUml is an online tool that converts text instantly into a Sequence Diagram, with the power of Vue.js. Generating sequence diagrams from DSL, fast and free. It is deeply inspired by http://jumly.tmtk.net/. A lot of changes have been made due to the DOM structure change though. Thanks to the <scoped> feature of Vue templates, it is not that difficult.